Hackathons for me were events which my nerd brother was always talking about or going to. I had a vague idea that it was about software development in tight time intervals and achieving certain milestones in coding glory. I had never been to one. Past weekend I found myself amidst a bunch of people ready to take on an epilepsy hackathon on the outskirts of Brussels at the sylvan premises of UCB. The motley group consisted of people living with epilepsy, designers, a lot of developers, parents and more.. There was the kickoff and there were the pitches. Moving stories and brilliant nuggets of ideas to be developed and built. I pitched. I also became part of a very diverse group which had two young motivated people living with epilepsy everyday. We were assigned working spaces and asked to create a digital tool which will bring real value and help people living with epilepsy. We did introductions, shared our passions, skills and our ideas of how we should go about this task. Brainstorms and discussions later, we had a central idea which we were going to develop and detail till Sunday. We went to sleep on Friday with the ideas of ‘easy logging of seizures’, ’alert systems’ ‘,’ adaptive’ and ‘pattern recognition in data’. We also needed a name for the tool. 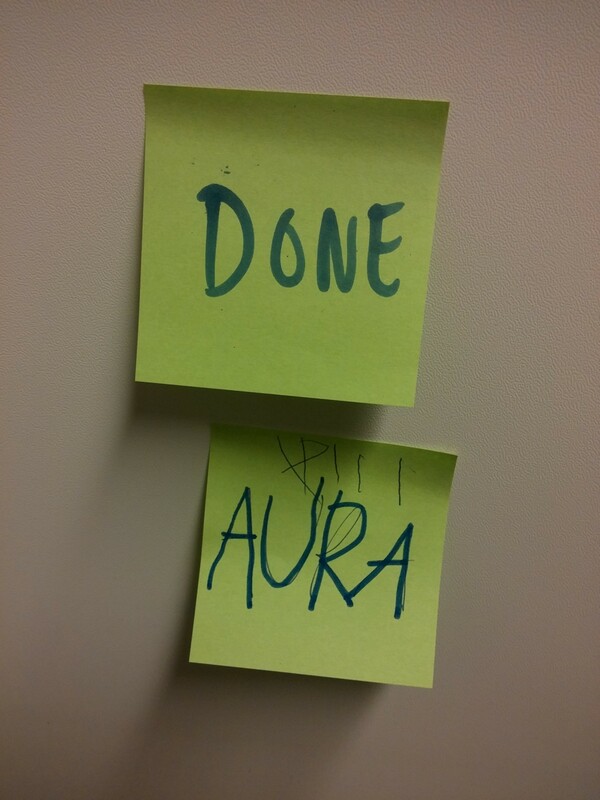 After brainstorms and voting, we zeroed in on one. 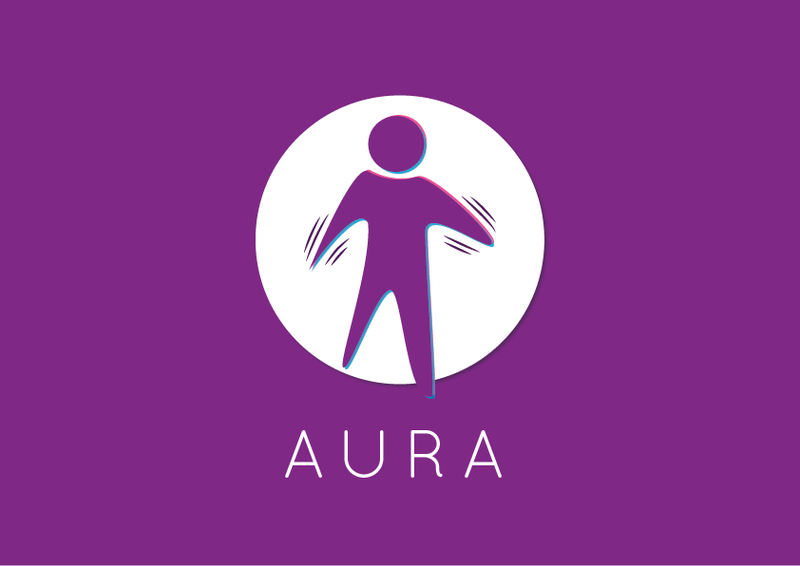 Aura is a symptom experienced by people living with epilepsy. It can be a pleasant happy feeling for some individuals and the ones in our team were very chatty about it. And for me it connected to the halo and the energies inside a person. 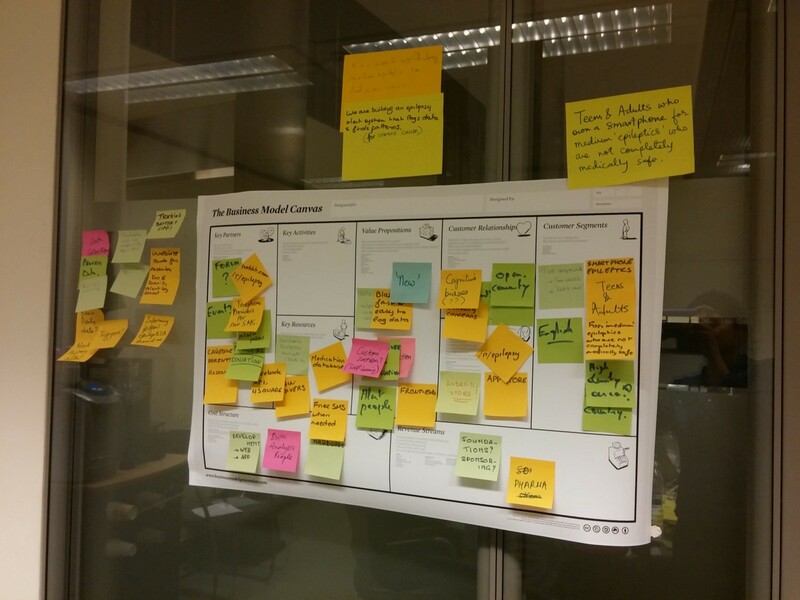 We ploughed on through the day with more ideas of implementation and user activity flow. The focus words were ‘simple’ and ‘fast’. There are many loggers/diary apps in the domain but people get bored or put off by the amount of typing to be done to fill them up and keep them up to date. We dont want to lose the important small and rich data would help in better care package for the users and hence we wanted to facilitate that and make it fast for them. Ideas about how a database would be created by asking to login simple data through visual cues were discussed. The data scientists brought in pattern recognition and predictive modelling to be more adaptive to each person’s unique needs. We created user flow diagrams to understand which would be the best possible way of the user interaction with the tool. Also what would be the actions he would want to take. Also those actions should not feel like a burden but more intuitive and simple. Soon it was time to present. This was the part where we had to tell our story and we kept it simple and visual. 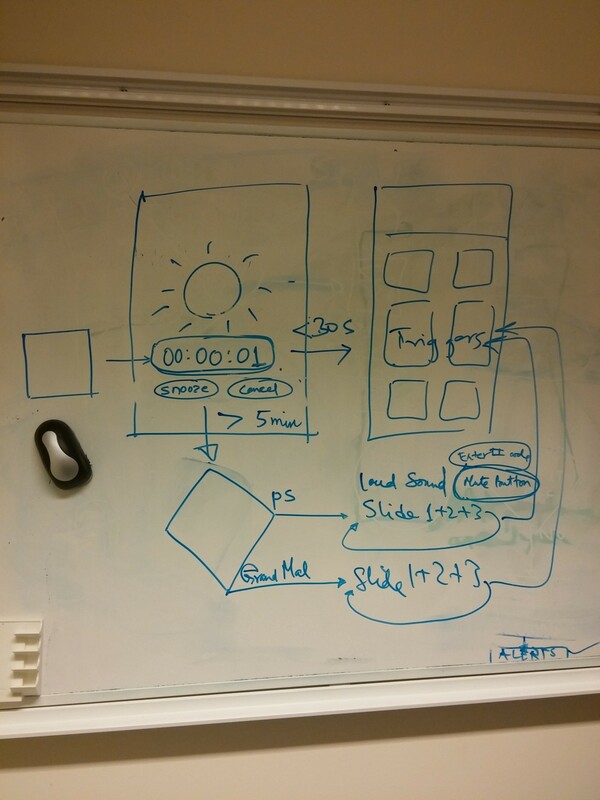 We managed to bundle it all together into an APK for the presentation and were able to give demo to the audience. The final presentation on Sunday was such an enriching experience. The manifold approaches to the subject brought forth different aspects of life with epilepsy which could be touched upon. Through their concepts, teams focused on decreasing stigma, educating the masses and being emphatic through the metaphor of a fire extinguisher, predicting seizures through heart rate monitors, engaging games to keep younger users motivated and alert systems which were as simple as glowing of a bulb encased in a superhero statuette. Team Aura was really thrilled to be awarded the third prize. Nevertheless, I believe all the concepts deserve a big applause for addressing the different pain points and creating such impacting and diverse solutions. I hope the journey doesn't end here, as I see many more milestones to reach. Product Management at International Baccalaureate, likes connecting Design, Technology, Strategy, Brands, Services, Business, UFOs and so on.